Gypsies Journal: gypsy life: holiday decor - tags! 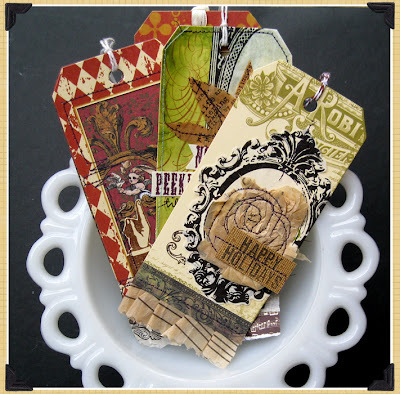 gypsy life: holiday decor - tags! after you spend so much of your time thinking and contemplating the perfect gift for all those special people in your lives and then finally wrapping those presents, you think, "how will people know who it's for?" 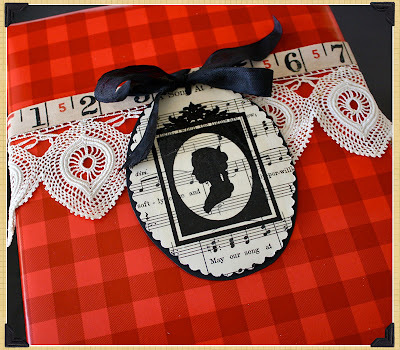 why not create a fabulous tag like our gypsies Mou and Paula did? 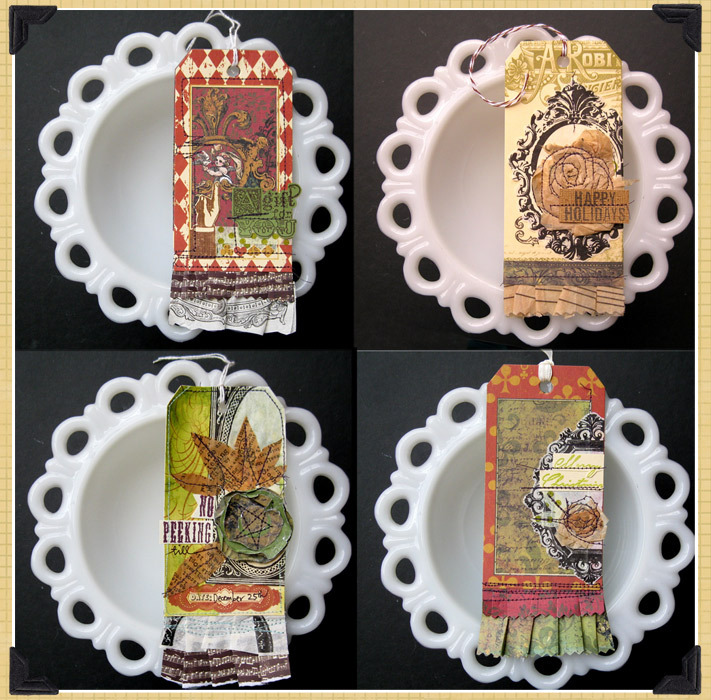 starting with our gorgeous gypsy tags, mou began adding pieces, layer by layer, to create these beautiful-one-of-a-kind gift tags! 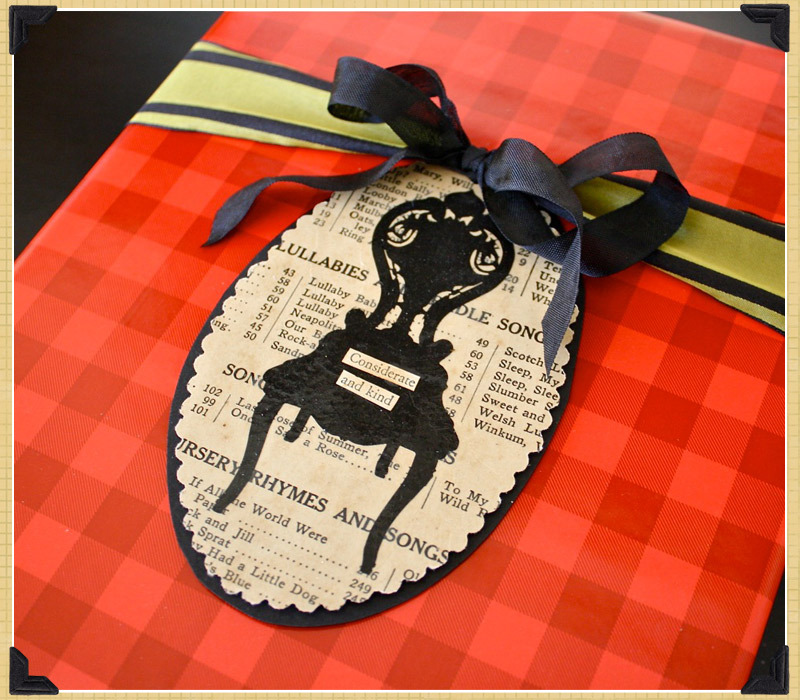 look how she used a frame from our frames collage tissue and the Christmas stamp to add fun holiday statements! paula created these vintage tags using our frames and silhouettes collage tissue! 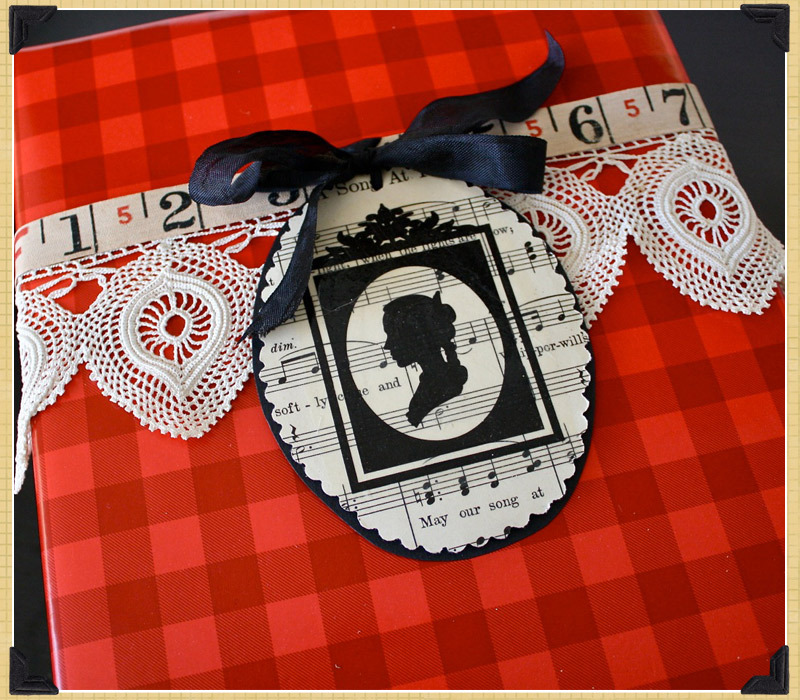 adding some pieces from old song books behind to create such beautiful dimension..
want to know how she cut the images out so precisely? check out her blog for a how to! we will be sharing holiday decor ideas all week gypsies!! Gorgeous projects, Paula and Mou! I love your tags Mou! You never cease to amaze me how much talent is bottled up in you! these are such great projects!! we love our design team!! !